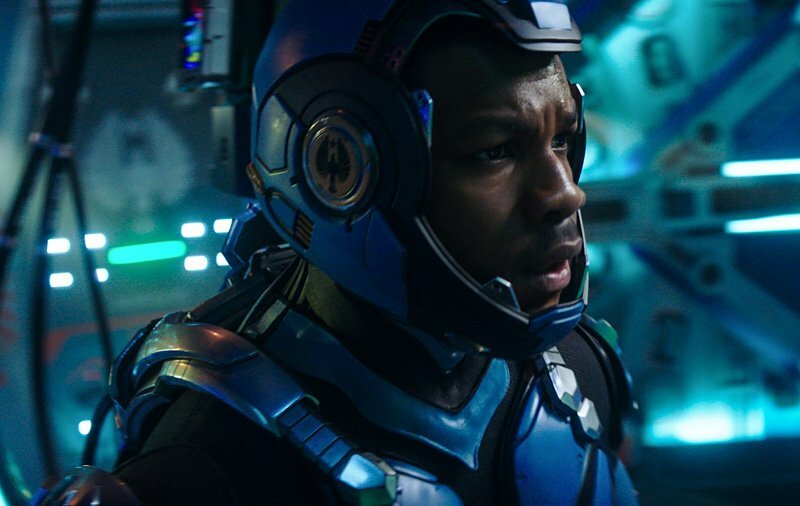 John Boyega is no stranger to sci-fi. 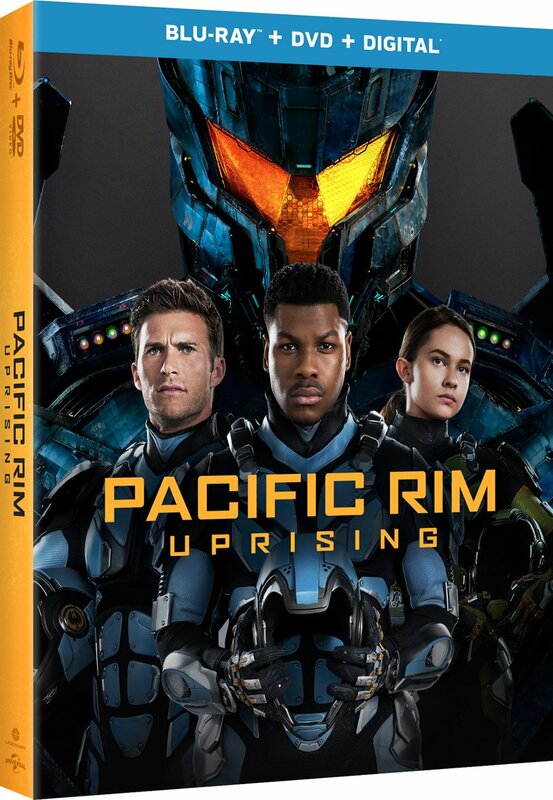 Having stepped into a galaxy far, far away as Finn in the Star Wars franchise and battled aliens as Moses in Attack the Block, the actor now finds himself in another other-worldly situation on the big screen: Piloting a Jaeger and fighting Kaiju in Pacific Rim Uprising. While speaking to the actor on the set of the upcoming sequel, Boyega recalled the first time he saw a photo of the first movie as it was coming out. Fittingly enough, Boyega takes on the role of Jake Pentecost, the son of Idris Elba‘s Stacker Pentecost from the first film. Elba’s character didn’t make it out of the first film alive, but managed to cancel the apocalypse thanks to his tireless work. At the time of our interview, they had only briefly spoken about playing an on-screen family but a reunion would no doubt come at one point for the pair. Fans may balk at this retcon of a son that was never mentioned in the first film now being the center point of the sequel, but the reasoning is baked into the story of Pacific Rim Uprising: Jake Pentecost was the black sheep of the family beforehand. Jake’s life of crime will quickly come to an end as the sequel begins though and as one key relationship unfolds on screen in front of us: Him seeing his long lost adoptive sister, Mako Mori (played once again by Rinko Kikuchi in the sequel). Another key relationship in the film that we will see Jake in is with newcomer Cailee Spaeny as Amara. The pair stumble upon each other in the wasteland that was once Santa Monica as Jake looks for Jaeger scraps to sell on the black market, and Amara looks for pieces to help her build her own fighting robot. In the film, Jake and Amara will both take up a spot in the Pan Pacific Defense Corps. Jake, like his father Stacker, gets to both lead cadets and pilot a Jaeger. Though Stacker’s first Jaeger was a Mark-1 Jaeger by the name of Coyote Tango (who appeared on screen for just seconds in Pacific Rim), Jake gets to pilot none other than the new face of the franchise: The Mark-6 Gypsy Avenger.